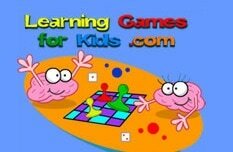 We would like to provide teachers, students and parents interesting links to play games about "Energy"
BBC Science clips: A game about making different circuits to save energy. 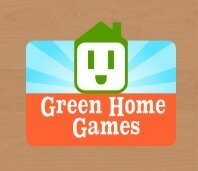 Green Home Games: a research and design group at Northwestern University. 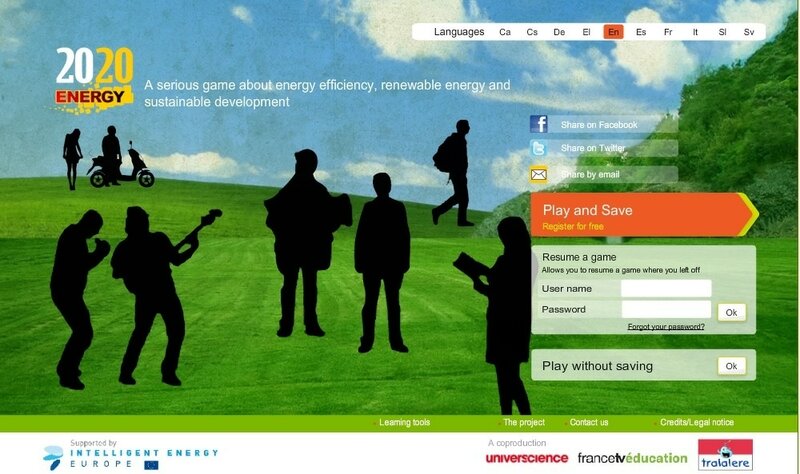 Energy consumption games to empower families to contribute to a more sustainable future. Power Up-NASA Capture clean energy from the wind and the Sun to produce enough electricity to run the town. The Children's University of Manchester: investigate energy and think about how we can save energy and live more sustainable lifestyles. Wonderville Feel like changing jobs for a day? Become an architect to design an energy-conscious street, or join the Conductor team to help Current City manage their energy use! Adventures of Ollie See if you can answer all the questions about reducing energy in the house and make the energy usage meter go down. 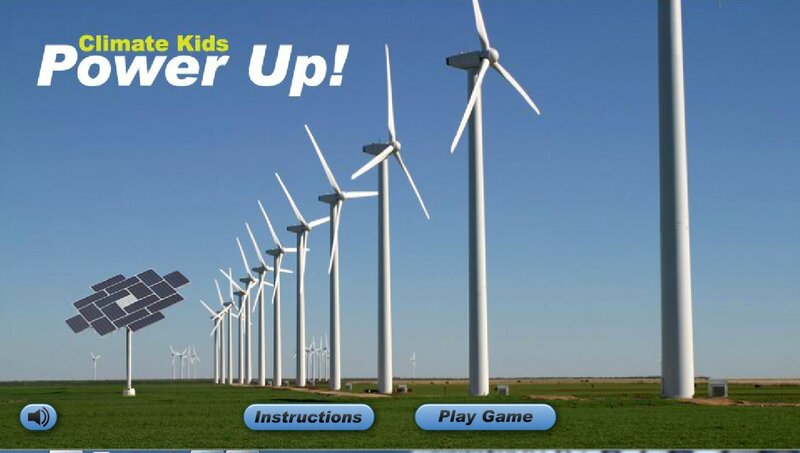 Understanding Electricity Are you ready to explore electricity? 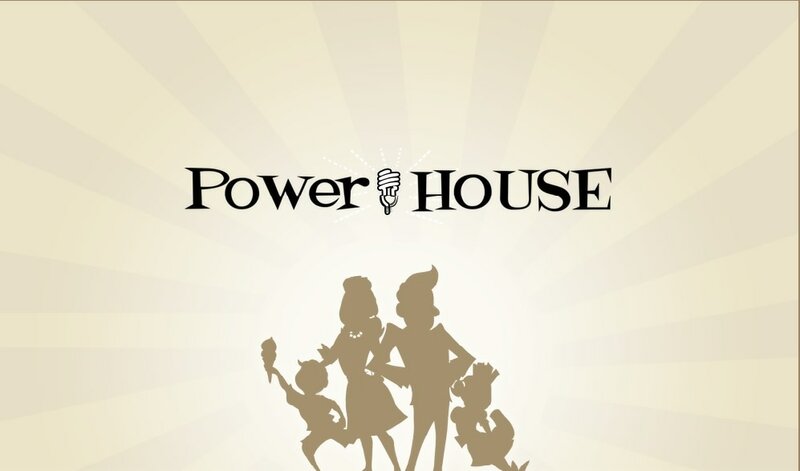 Here's your chance to build a generating station, practice avoiding electric shocks, and produce your own renewable power! 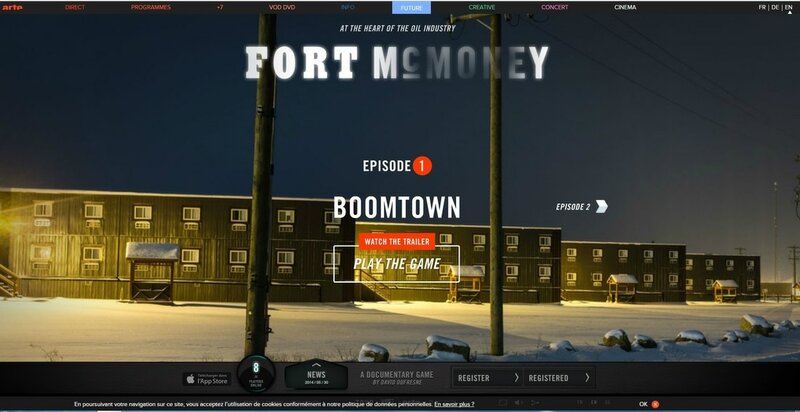 Power Play: Imagine you are an energy planner. 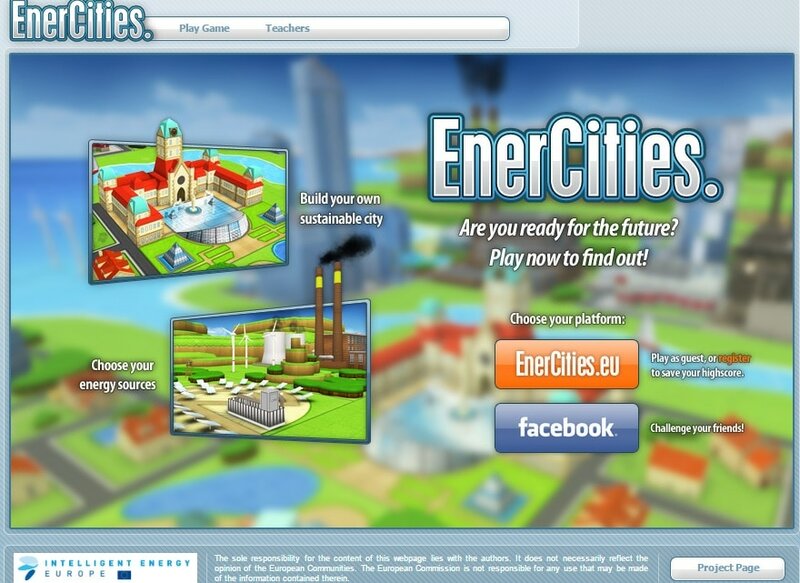 EnerCities: create and expand virtual cities dealing with pollution, energy shortages, renewable energy etc. 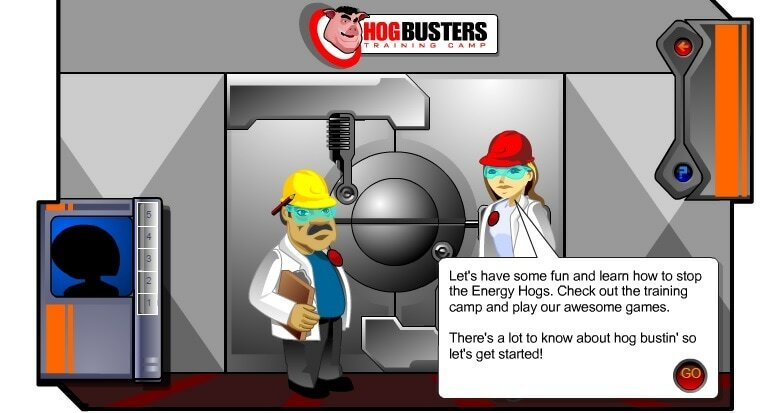 Hog Busters Can you vanquish all the energy hogs and save energy around your house? 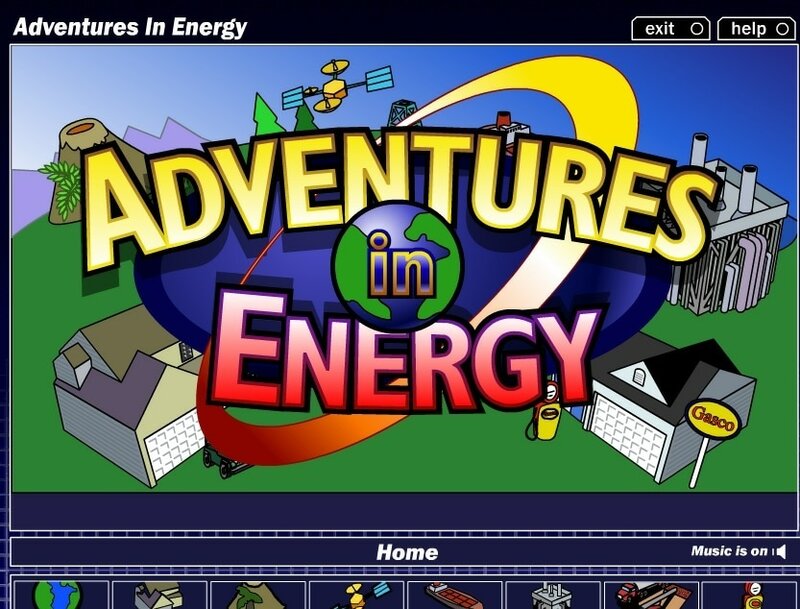 Adventures in Energy Test your energy IQ. 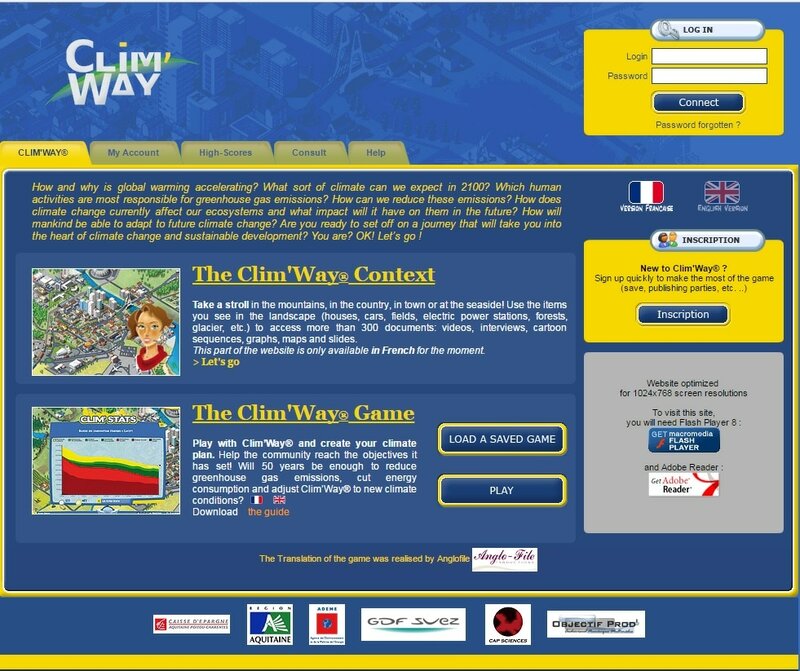 Clim'Way: What sort of climate can we expect in 2100? 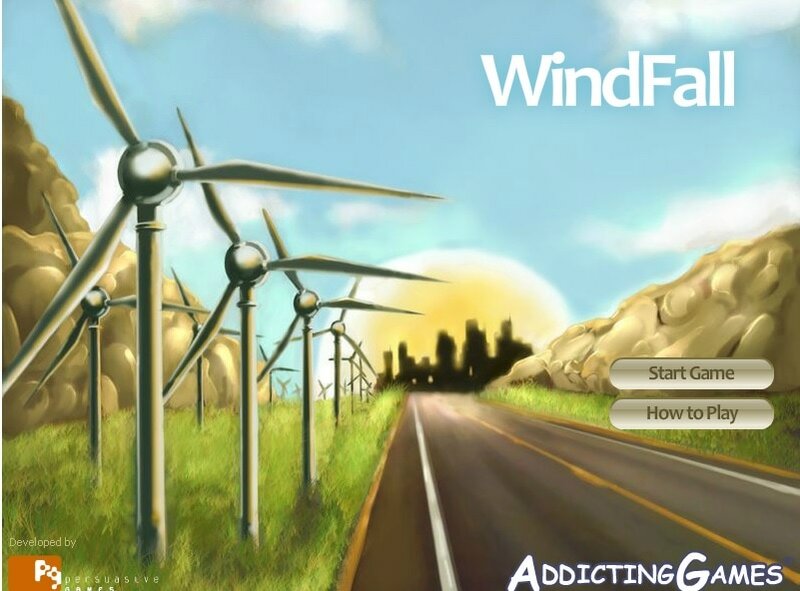 Windfall renewable energy tycoon game where you have to build sufficient wind turbines to power a small town. National Geographic: The Jason Project : Use your understanding of energy transfer to create a roller coaster.